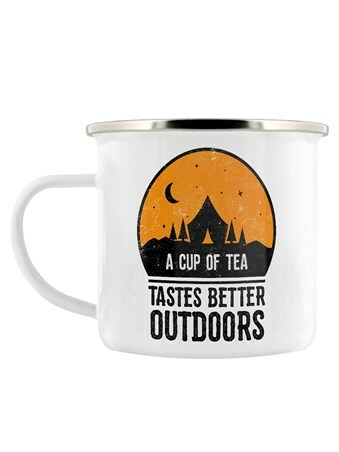 Put the kettle on, hang the 'Do Not Disturb' sign up and enjoy a minute or two of peace and quiet with a lovely cuppa. 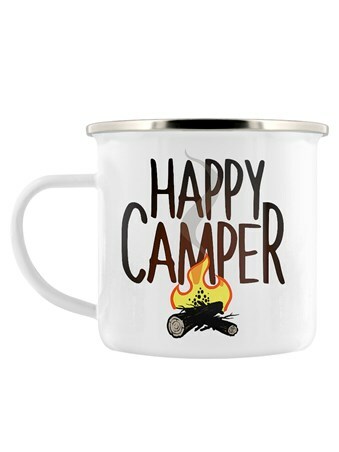 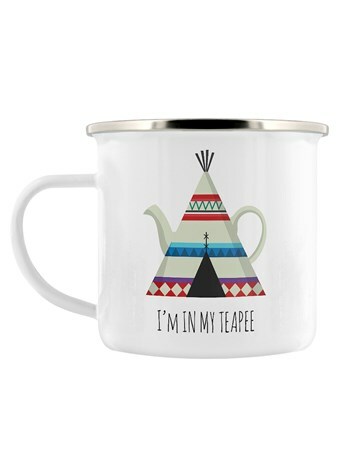 Featuring a patterned teepee, with a handle and spout, this whimsical enamel mug is the perfect vessel for any seasoned glamper who needs a little chill out time. 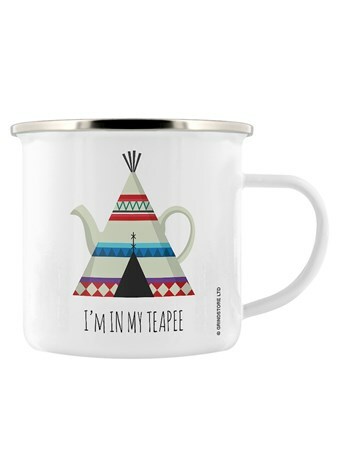 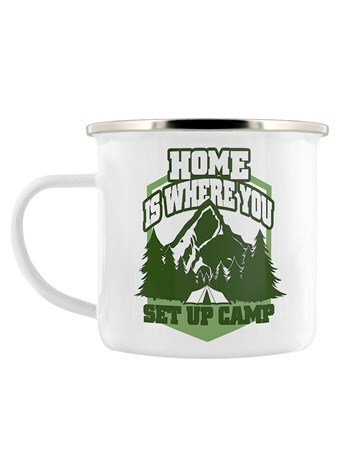 Relax in the bliss of your teepee or tent and let people know 'I'm In My Teapee'. 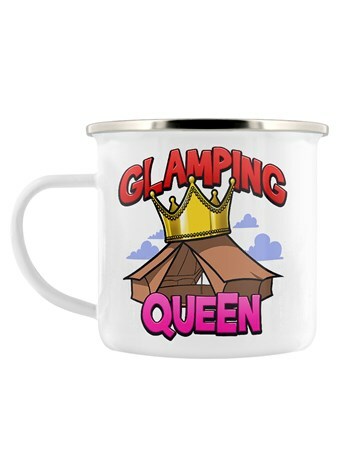 High quality, framed I'm In My Teapee, Glamping enamel mug with a bespoke frame by our custom framing service.